I can’t bring myself to read any more accounts of the fire devastation at Grenfell Tower. It’s utterly heartbreaking and frightening to know quite how quickly everything unfolded. Being a parent and having to face the choices some of those parents faced doesn’t bare thinking about. My biggest mini me came home from school yesterday and told me the fire alarm had gone off at school. It was only a practice drill fortunately (I presume scheduled before the tragic fire in London) but she told me she cried as she was scared. And so followed a conversation to reassure her that fires are rare and that we can do a lot to keep ourselves safe at school and at home…which has made me rethink some of the things we do at home. Keeping our home and family safe is so important; one of the most important ways we can do this is to ensure that we have smoke alarms correctly installed at home. Smoke alarms offer vital early warning of trouble, and will alert you to a fire even if you are asleep. Fire brigades across the country offer home fire safety visits. We had our local fire brigade come round to conduct a home fire safety visit when we first moved here five years ago. They assess where the best place to fit fire alarms is in your house given its layout etc, and then fit them. This takes away any worry that they are correctly fitted. They have even been back recently to check out one which was beeping randomly. Please don’t let cost of a fire alarm prevent you keeping your loved ones safe. You can book a free home fire safety visit by contacting your local fire station; we were initially provided details by our local Sure Start Centre. The people who come out to provide this service are serving fire fighters so they may even turn up in a fire engine to your house which is an added bonus for any little people in your house. One of the key things I talked to my daughter about yesterday was how we would get out of our house if there was a fire. 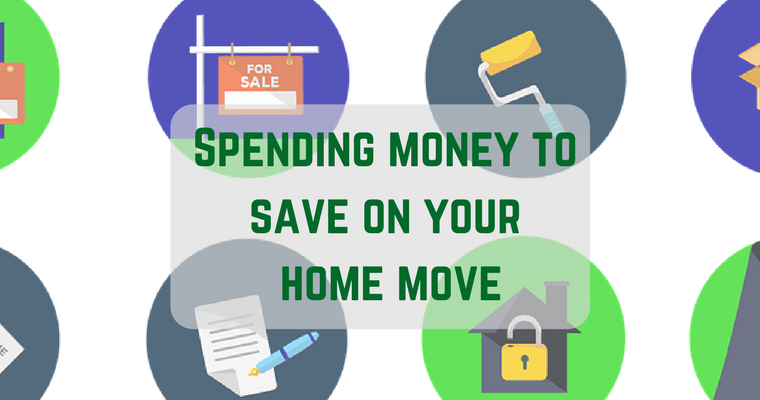 Get everyone together in your household and make a plan. We walked through our home and talked about all possible exits and escape routes and what might stop us being able to get out e.g. locks. It’s always a good idea to plan two routes of escape from any room and make sure everyone knows them. My biggest fear is a fire at night-time when we are upstairs and the obvious escape route down the stairs is blocked. With this recent tragedy front of mind, I have bitten the bullet and bought one of these collapsible ladders from Amazon which can be used to escape from an upper floor window. It’s one of those expenses which seems expensive….unless you need to use it and then it is invaluable. I was told by a firefighter friend a few years ago that most children who die in house fires are later found hiding. This frightens me a lot. Hiding from something that is scary is a totally natural reaction for a child. I totally understand that. By hiding though, they are making themselves very difficult for their parents to find in a potentially smoky environment. For fire fighter rescuers in an unfamiliar house, it would be nearly impossible to locate a child hiding in a cupboard or behind a piece of furniture. Please, please encourage your children not to hide in the event of a fire but to shout ‘fire’ and alert an adult to where they are. Also, be aware that if a child has accidentally started a fire themselves, the fear of the consequences of what they have done may be greater than the fear of the fire itself and they may choose to run and hide. They need to know ‘don’t hide, get outside’. Fire is frightening for children. However, it’s important to discuss with them what to do if there is a fire – don’t avoid the conversation because you are worried about scaring them. Children do need to know how to react, in case there is no adult around to tell them what to do if there is a fire. In the same way as they have fire drills at nursery/school regularly, have a practice in your own home occasionally so in the event that you ever do have to escape, they have done the ‘drill’ before. Not fire-related, but very relevant if you are wandering the alarm aisles at B&Q after reading this post, are carbon monoxide alarms. 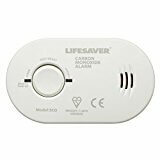 A carbon monoxide (CO) alarm should be fitted in any home that contains a fuel burning appliance, like a boiler, and tested regularly to ensure that it is working. Carbon monoxide is a silent killer. Unlike smoke, you can’t smell it or see it, and only a functioning alarm will tell you if it is present. Our close friends recently had a trip to A&E in the middle of the night after their CO alarm went off. The blood test to check CO levels was extremely painful because it has to go in to an artery ☹ Luckily they were all fine but my friend’s story prompted me at the time to get this CO alarm; we didn’t have one. Shockingly, less than one in ten homes in the country has one. Why do we focus on smoke as a killer but not on CO? It’s actually great as it doesn’t need to be fitted to the ceiling like a smoke detector; its portable. Which means it always gets packed when we go on a caravan holiday; you can never be too careful if staying in a small, enclosed space where there is gas. It is so small it can easily be packed in your suitcase if you are staying somewhere where you can’t be sure of the safety measures in place around heating appliances e.g. on foreign holidays. Whilst we don’t want to think when we book our holidays that we are putting our children in danger, unfortunately there have been horrific cases of deaths in holiday apartments which could have been prevented if a CO alarm had been installed. Brilliant post Emma, really informative and useful. Sadly for many, having fire alerting equipment isn’t something they think about until a situation happens, and sadly as in Grenfell organisations neglect their duties too. This post should be shared more to raise awareness!